The air is rife with eager anticipation as young, budding physicians prepare for making a real difference. It’s that time of year again—when thousands of fourth-year medical students traverse the country in search of a residency program that will make them into the doctors they dream of being. It’s a time when everyone puts their best foot forward. Students in neatly pressed suits and polished shoes tour gleaming ICUs while their resident guides boast of this or that cutting-edge technology, research breakthrough, or a renowned faculty member. But what, exactly, are these prospective doctors-in-training looking for? What constitutes the “perfect” program in their eyes? Here are eight points that every residency director should strive to highlight during the upcoming interview season. Committed faculty: While it’s all well and good to have a few “celebrity” faculty, these are probably not the doctors who residents will have contact with throughout their training. Residents want attendings who are committed to teaching, who love what they do, and who remember what it’s like to be a resident. A few publications or academic decorations don’t hurt, but faculty who are too consumed by their research often don’t prioritize teaching and consider their annual month on the wards more of a burden than a joy. An appropriately challenging patient caseload: Depending on a hospital’s size and location, patients at some institutions tend to be sicker than at others. A residency program should account for its hospital’s unique health demographics by tweaking patient caps and/or limiting the number of admissions over a given shift. Managing ten patients with viral syndromes at a small community hospital is roughly equivalent in terms of workload to taking care of three acutely ill patients with multiple comorbidities at a tertiary care institution. Moreover, the best programs recognize that some cases have more educational value than others and establish an admissions screening process or a non-teaching service to divert cases with little potential for learning. Strong resident camaraderie: With their 80-hour workweeks, residents can expect to spend more time in the hospital than at home. Their co-residents become something akin to a second family, and it is important that they have good collegiality and rapport. Residency directors can help promote camaraderie by providing funding for housestaff happy hours and other social activities, as well as fostering a culture of mutual support rather than competition. Autonomy: As residents advance through their training, they gain confidence in their clinical decision-making. Programs should adhere to a structure of progressive autonomy, such that new residents receive maximal support and those close to graduating have near-complete independence in their management of patients. Attendings must be available for advice but not breathing down the necks of their residents. If residents spend their training simply following orders, they will lack the confidence necessary to practice independently once they graduate. Service-education balance: It is safe to say that no one goes into residency eager to spend their days sending faxes, transporting patients and performing blood draws. While some of this “busy work” is inevitable, it should not account for the majority of one’s day or crowd out time for didactic learning. Residents are looking for a program that has the necessary support services to ease the burden of mundane tasks, so they can focus on what’s important—their education. Work-life balance: Similarly to #5, programs need to strike a balance between time spent inside the hospital and time at home. The current generation of physicians-in-training has a different set of priorities than some of the older generations, for whom life was the hospital during residency. Residents who are parents want to spend time with their children; those in relationships don’t want to neglect their partners; those with hobbies don’t want to lose their passion. A program that provides a healthy amount of freedom from clinical duties will attract the best residents. A customizable education: Medical training is not one-size-fits-all; residents must have opportunities to pursue what interests them and tailor their schedule accordingly. A resident planning for a career in primary care should be able to spend more months in clinic, while someone destined for GI should have ample elective time on the consult service, meeting fellows and attendings, or doing research to bolster their fellowship applications. No matter what a resident’s plans for the future are, a program should be able to style a curriculum to meet their needs. Career prospects: Finally, let’s not forget the one thing every resident wants when their training is over: a job. Whether it’s a fellowship, academics, research, private practice, or something else entirely, residents want to feel secure knowing that their program is preparing them well to achieve their career goals. This means providing mentors, making introductions to key players in each field, and opening doors to employment opportunities. Rather than emphasizing how many residents match to fellowships each year, a more meaningful metric for a program’s success is how many residents end up where they want to be, doing what they set out to do. The career resources you provide upfront will reinforce your program’s ability to help residents find their ideal job. 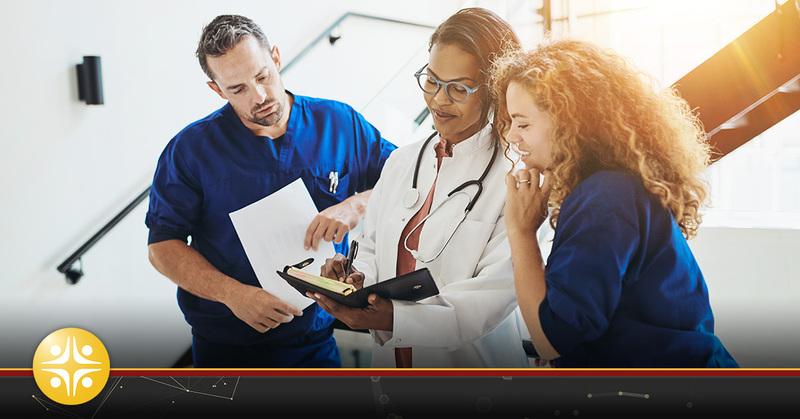 These eight residency program criteria should help to demystify the decision-making calculus of prospective residents and match each candidate with the program that is right for them. Residency program directors wishing to attract the best need to showcase the best of what their programs have to offer. And the efforts you made to attract the best should continue with the same potency throughout their program.